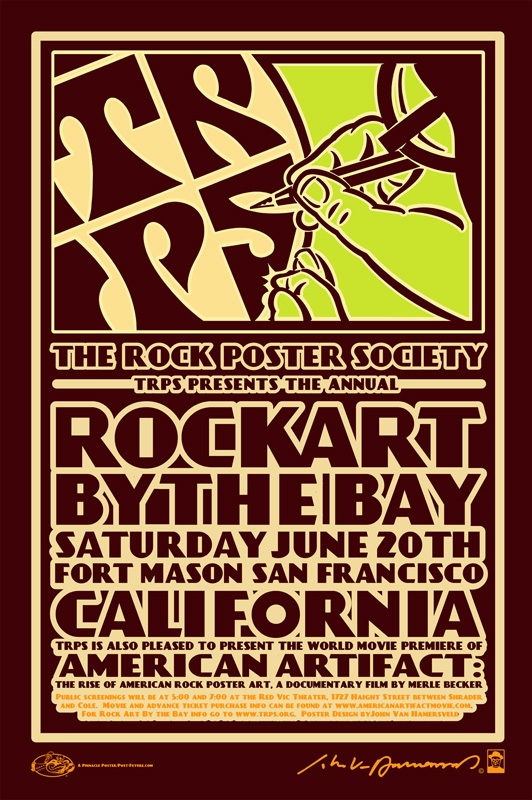 TRPS commissioned artist John Van Hamersveld to create a poster for the 6th Annual Rock Art By The Bay held at Fort Mason in San Francisco on June 20, 2009. This silkscreen poster was printed at The Firehouse, measures 24″ x 36″ and comes from an edition of 100. Signed and numbered by the artist.